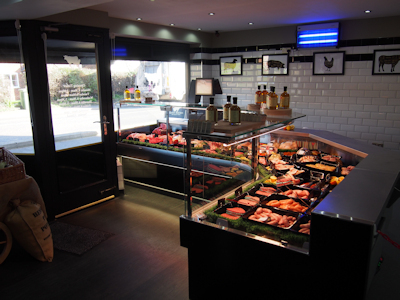 At Keeler’s Butchers farming is in the family. 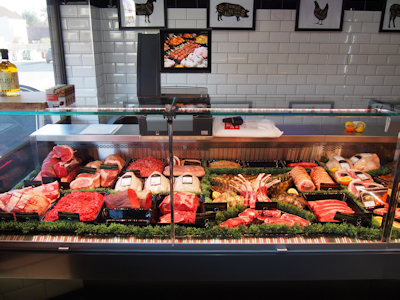 The beef and lamb in our butcher’s shop comes from our own 130 acre farm which has been in the family since 1947. With over 100 breeding ewes and 50 suckler cows fed on natural produce, most of which is grown on our farm, we really know our meat. The lambs on our farm are all Texel Cross. We find these get to a really good weight and have a lovely finish to them with large yields but less fat. Our cattle are all Limousins which are known for their impressive muscle with little fat. The beef is matured for 21 days until it has a melt in your mouth quality. Our free ranged pork is sourced from Jimmy Butlers Farm in Blythbrough Suffolk. The pigs are born outside and spend their entire lives outdoors in the fresh air with freedom to roam in large paddocks. By growing slowly the pork retains a traditional flavour and succulence. 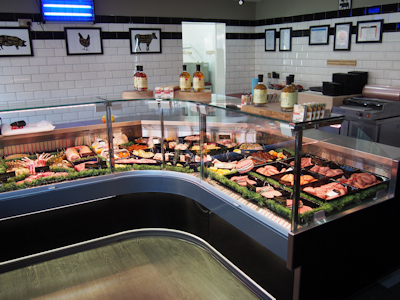 We source our free range chicken from Hindolveston where they are reared outside and allowed to mature more slowly. We also stock very popular barn reared chickens. 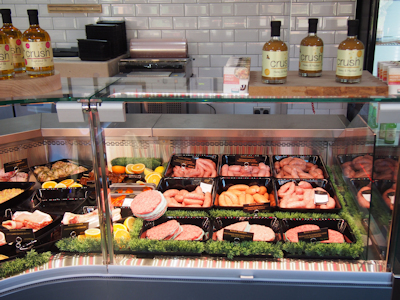 Our handmade traditional sausages use only the finest ingredients. We know what goes in them because we make them! All of our cheese comes from a local company who supplies us with Mrs Temples cheese and some other great cheeses including Norfolk dapple.